Very Awesome Arts is changing the way we learn about culture by helping us laugh about it. The team of misfits, creatives, Jews and goys that brought you Very Awesome Purim is on a mission to revolutionize cultural traditions and make them awesome. Inspired by the show’s success, we’ve grown beyond just a Purim celebration into Very Awesome Arts. We'll keep creating fresh Jewish entertainment across the four platforms below, but we’re also looking for creators from other cultures to reimagine the stories they’ve grown up with in ways that everyone can learn from—and hey, even enjoy. Our content pushes boundaries in the name of bringing us together, because that’s what the world damn well needs. The spirit of Very Awesome Arts was born on the stage (well, really in a living room) with our first Purim party in 2012. Every year, we put on an interactive musical that reimagines the story of Purim (the most underrated of all Jewish holidays), featuring parodies of songs within a genre chosen by you. And every year, it’s growing bigger. After three sold-out performances for Broadway Purim in 2018, we decided it was time to bring the show to even more people. Next year, you can party with us in New York as well as Philly! But don’t wait until next spring to get your Purim fix. 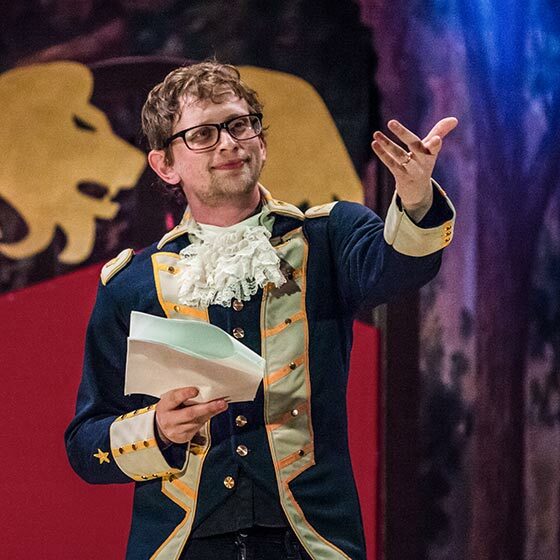 Join us in Philly this fall for a “Best of Purim” gala, where we’ll take a look (and a listen) back on the past five years and open the polls for the 2019 theme. We’ll also officially launch Very Awesome Arts, which will set the stage for theater productions beyond Purim...but equally awesome. Stay up to date with our shows! Very Awesome Arts’ first film project was a promo video for Purim 2017 in the style of Drunk History. Truth is, the show was already sold-out at that point and didn’t really need more promoting—we just look for any excuse to make videos. So, now this is our excuse! In the future, you can expect more promo videos, more music videos, more Drunk History, and more cultural stories brought to life through our film department. 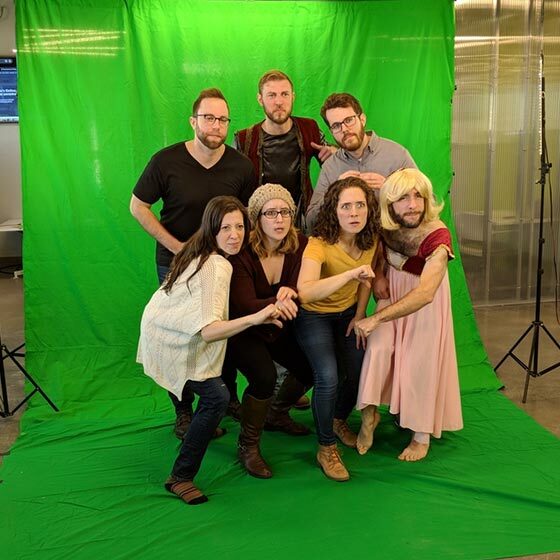 If you still haven’t seen A Very Drunk Purim or our Hamilton parody, “Agagite Named Haman,” you can (and should) find them below. If you’ve heard our songs or been to a show, you’ll know we put a lot into the audio experience. 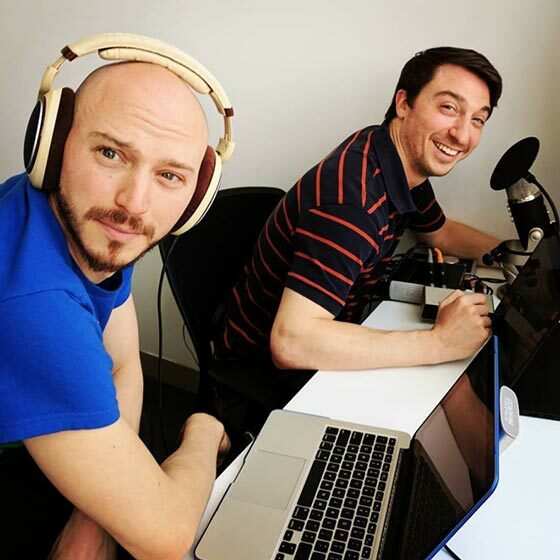 We want to use the podcast format to bring you behind the scenes with us and continue the conversations we’ve started, beyond the stage or screen. Join us as we explore what it means to be Jewish in the 21st century. We’ll dive into the weekly Torah portion (parsha) with special guests who know much more about the Torah than we do. We can’t promise we’ll be entirely sober, but we can promise you’ll hear some awesome original music, laugh at least once, and maybe even learn a thing or two along with us. Very Awesome Arts was founded on interactivity and bringing everyone in on the fun. We take away so much more when we’re participating and laughing along than we do as passive listeners, so we’re thinking up interactive new ways to enjoy learning about culture together. Nine out of ten Jews said their Passover seder this year was incredibly boring. The tenth one is still asleep. 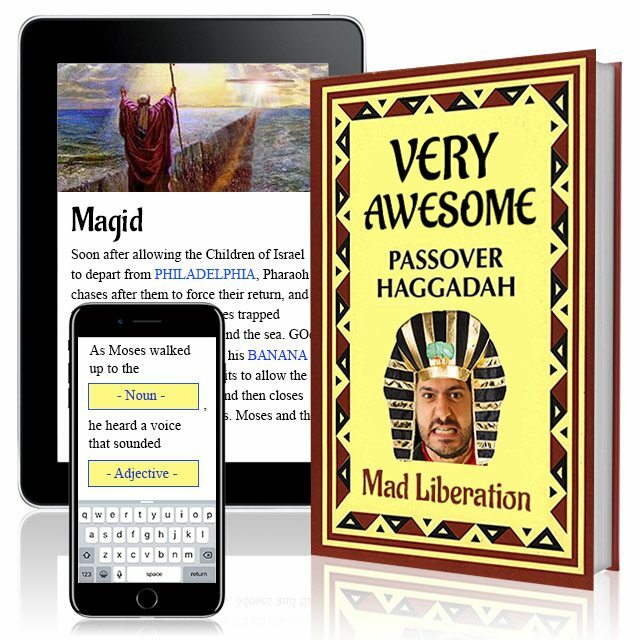 Our first interactive project in the works is a Haggadah that people are actually excited to engage with before eating. That got us thinking...there are tons of other traditions that could benefit from a more interactive approach—whether that’s through an app, a game, or something not yet invented. We’ve already built a lot of momentum, but it’s only been possible thanks to the overwhelming support of so many friends, fans, and organizations who have believed in what we’re trying to do. Whoever you are, there are plenty of ways you can help Very Awesome Arts grow! I wanna contribute creativelyI wanna contribute financiallyI wanna volunteerI have a space you can useI wanna learn more about VAAI just wanna say hey!